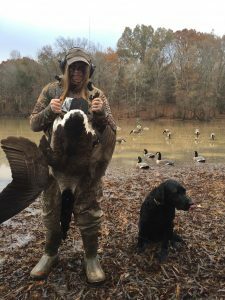 Ayla Holt was able to bring down two geese in a recent hunt with her dad, Kable Holt. 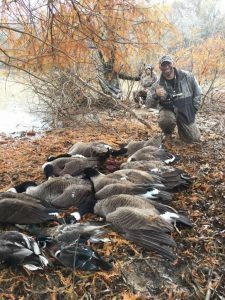 The group killed eight geese and three ducks in total. She used a Tristar 20 gauge automatic purchased at Benton Hardware.